always enjoyed visiting this pub,small but great atmosphere and brilliant run by cathy.miss it a lot even though cockney paul was a regular. shame this little boozer is gone,had 2 drink guinness in there, as no real ale and the guinness was great like being in dublin (yes it was that good). 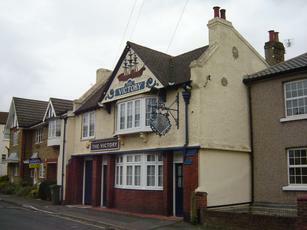 trouble is the brewers dont worry about these little pubs any more and they charge 2 much rent 4 them. great bunch of people in there 2,anyone know where all the lads drink now?as i do miss the craic! best pint of guinness in town,but 2 small,regulars were all very nice and i will miss my daily couple of pints in there.